I created two cards inspired by the Hand Stamped Sentiments Inspiration challenge. The colors of Bermuda Bay and Flirty Flamingo are very prominent in the inspiration photo which remind me of the 50’s and the Miami Vice series of the 80’s. When I first saw the inspiration photo I had tons of ideas but settled on using the Climbing Orchid stamp set and Orchid Builder Framelits. I had read about a sponging technique on Glossy White paper in one of our Success Magazines and decided to make the card as featured in two color ways. I created the these two cards by first, sponging ink onto the Glossy Cardstock. I then filled a Stampin’ Spritzer with water and lightly sprayed on to my hand. Then flicked my hand to create droplets on the inked paper. With the Orchid Builder Framelits dies which makes it easy to die cut the orchids. Here’s the Inspiration image from Hand Stamped Sentiments. 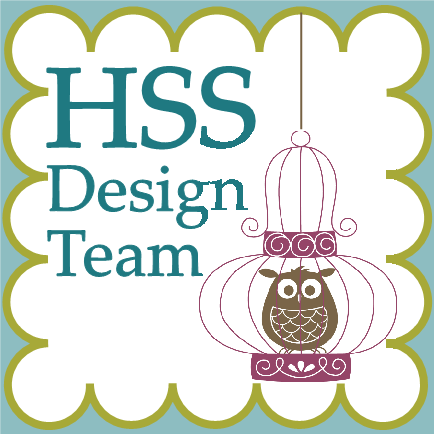 There are more projects to see from the HSS Design team at Hand Stamped Sentiments. This week’s challenge at Hand Stamped Sentiments is a sketch challenge. The sketch inspired me to create a card with the Grateful Bunch Stamp set and coordinating punch. What’s fun about this stamp set is there are so many elements. The lace stamp is a favorite of this set. I used it on the side of the card along with the Venetian Crochet trim. The flowers, leaves and sentiment are also from this set. The flowers I die cut with the coordinating Blossom Bunch punch. The dots were created with the stamp from Timeless Treasures which is also a new stamp set from the Occasions catalog. The set is very versatile which is a must-have for your collection. I would love to see how this sketch inspires you. For more inspiration visit Hand Stamped Sentiments to see what our talented designers have created.